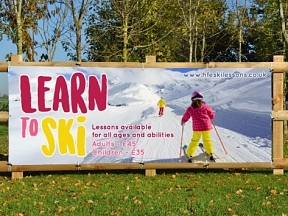 Whatever your winter sports activity we can design you a PVC Banner to increase you revenue. 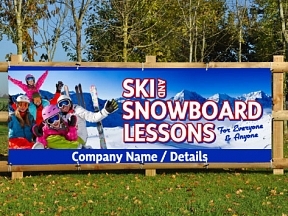 Whether its Skiing, Ice Skating, Snowboarding or anything else – Our designers have the experience and the skills to take your images and brief to make you something eye catching to boost your business marketing, and best of all, the design is FREE of charge! So either choose from a predesigned template below or email us with your needs and we’ll send you a proof bespoke to your needs.